Hidden away from the world by his famous father, Quinn Kelly strives to find meaning in his life while struggling with a deformity that has kept him from leaving the only home he has ever known. On the eve of his departure a sudden and deadly virus sweeps across the nation, killing nearly all it touches. Within days Quinn is left to fend for himself in an empty world. But there is something still very much alive beyond the walls of his sanctuary. A mysterious worldwide epidemic reduces the birthrate of female infants from 50 percent to less than one percent. Medical science and governments around the world scramble in an effort to solve the problem, but 25 years later there is no cure, and an entire generation grows up with a population of fewer than 1000 women. Zoey and some of the surviving young women are housed in a scientific research compound dedicated to determining the cause. Pain, horror, fear - these are the things that have comprised best-selling novelist Lance Metzger's life. His childhood remains a riddled wasteland of abuse by a sadistic father and abandonment by an apathetic mother. In turn his only refuge became his writing. When Lance loses his ability to write and becomes haunted by a nightmare that he'd thought was buried, he is drawn inexplicably to a house on the shores of Lake Superior, where he finds his muse once again - but something is waiting for him when he arrives. One afternoon at an outdoor market in India, a man’s shadow disappears - an occurrence science cannot explain. He is only the first. The phenomenon spreads like a plague, and while those afflicted gain a strange new power, it comes at a horrible price: the loss of all their memories. Ory and his wife, Max, have escaped the Forgetting so far by hiding in an abandoned hotel deep in the woods. Their new life feels almost normal, until one day, Max’s shadow disappears, too. In a small town along the Mississippi River, separate but nearly identical attacks have left two married couples brutally murdered in their homes. A young boy—the lone survivor of the killings—now lies comatose in the hospital. And the police’s only lead is the boy’s terrified description of the assailant: a “monster." Save you money - and time! Evan Tormer is haunted. His life has been shattered by events beyond his control and regret is his constant companion. His wife is gone, lost to an unbeatable cancer. His son has been mentally and physically handicapped by a tragic accident. He's been fired for using company funds in a failed attempt to save his wife's life. Charlotte Rowe spent the first seven years of her life in the hands of the only parents she knew - a pair of serial killers who murdered her mother and tried to shape Charlotte in their own twisted image. If only the nightmare had ended when she was rescued. Instead, her real father exploited her tabloid-ready story for fame and profit - until Charlotte finally broke free from her ghoulish past and fled. Veronica Cavanaugh’s grasp on the world is slipping. Her latest round of fertility treatments not only failed but left her on edge and unbalanced. And her three-year-old daughter, Elizabella, has a new imaginary friend, who seems much more devilish than playful. So when Veronica’s husband fails to return home from a business trip, what’s left of her stability begins to crumble. Given her family’s history of mental illness, and Elizabella’s insistence that her daddy is dead, Veronica starts questioning herself. Keeps you guessing until the end! 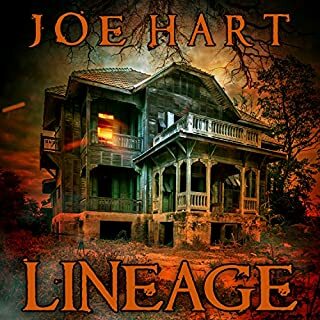 ©2018 Joe Hart (P)2018 Brilliance Publishing, Inc., all rights reserved. The troubles with the Fuzzies! Obscura is a combination of science fiction and psychological thriller. It is set only one decade into the future. 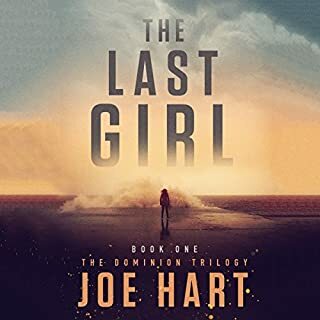 I'm not usually a fan of author Joe Hart, but I like this novel a lot; it is a very special story. The publisher's summary does a nice job of setting up the plot, but if you want more read the outstanding review by Brian of Niagara Falls, NY. The narration by Christina Traister is perfect for this novel. I've listened to several other books she has narrated, mostly those by Mary Burton. She is really, really good. The story was ok, nothing exciting, but the narration was a problem. Frequently, the narrator would begin sentences with a loud, brassy, nasal few words that were just out of place, ruining the flow of the story. This happened regularly throughout the story. This is a shame, because other than these frequent phrases, the narration was not bad. Maybe a story better read than heard. The story was fine. I can't vouch for the science, but there was some good imaginative thinking. The audio reading was fine, but there were odd pauses before some of the technical and/or medical terms. It was as if the author had read the story, skipped the techincal terms, and recorded them separately for editing in. If the pauses were edited out, it would seem less like the reader was trying to emphasize those terms. 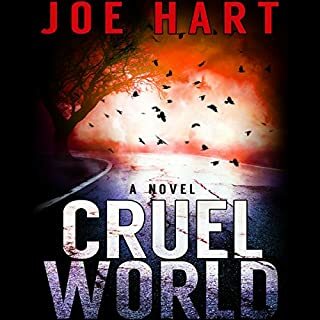 I have never read a book by Joe Hart before Obscura and I’m pretty mad at myself now. This is one of the most brilliant books I’ve read in quite some time. It was real, gritty, and cuts to the heart of a ton of issues that are going on now. Obscura tells a story of a woman on a mission. A new form of dementia is affecting people and causing them to lose their memories far too young. No one knows what causes it, if it’s easily spread, or if it’s curable. Dr. Gillian Ryan is out to try and change that. Along the way, she is promised something she never thought anyone could get – unlimited funding. But it comes with a catch. I would coin this as being a psychological science fiction thriller. Hart wrote a world that is stunning in its description but also simple and easy to understand. Things are worse – we’re a little into the future and we’ve basically doomed a group of people without even knowing how. I took care of my grandpa who had dementia and Alzheimers – Hart hits the nail on the head with his description of this new disease and how people react to it. It was almost hard to listen to at times because I couldn’t imagine watching my wife or someone that I’m intimately close with (like a kid) go through the same issues. Even the way that Hart had Gillian and her daughter describe it from a kids point of view was chilling. The Fuzzies is a term I won’t soon forget. I want to spend a lot of time writing about the latter parts of the book but I just can’t. Hart wrote a book that is like an onion – it had so many different layers to it. The deeper I got the more I wanted to know. 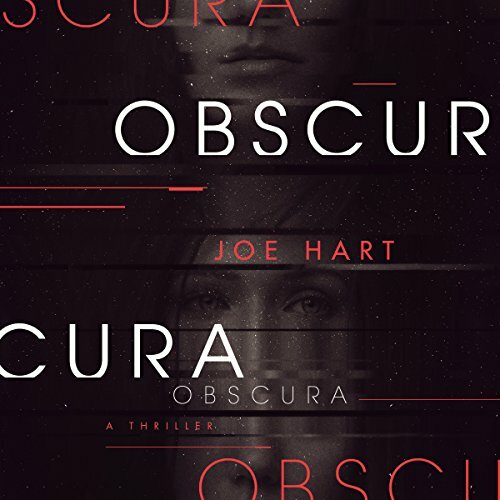 The way that Obscura is set up, it could have gone a hundred different directions but the ones that Hart went with, making this easily one of the best books I’ve read this year if not ever. The story itself and the way that Hart weaved science fact in with science fiction was reminiscent of some of my favorite Michael Crichton books. I had the privilege of listening to this a little early and my wife and I literally finished it during our drive to Washington DC. We started and finished it in one trip – and sat in silence after it finished because we couldn’t believe just how good the story was. The narration for Obscura was done by Christina Traister who I thought did a perfect job. The scenes of paranoia and panic at the mid-point of the book were perfectly voiced with the right amount of emotion and panic in her voice to really nail Gillian as a real person and not just a character in a book. Overall, Obscura… seriously might be one of the best books I’ve ever read. I had a feeling I was going to like this book, but wow. I liked it even more than I expected. I'm not a huge scifi fan, bit I really liked this book. I had an interesting premise as far as the tech, as well as some mystery that kept me guessing. The writing was pretty ok too. It wasn't any thing fancy, but I actually appreciate when an author knows how to write in a way that says out of the way of the story. This was recomended to me because I bought one of the Authors other books ... but never listened. I plan to make that book one of my next ones, and will keep him on my radar. I wish I could finish this book - and probably will in a form other than audio. The reader sounded like she was spitting the words out throughout the entire two hours I attempted to listen. The tone was angry and hateful regardless of the happenstance of the story. 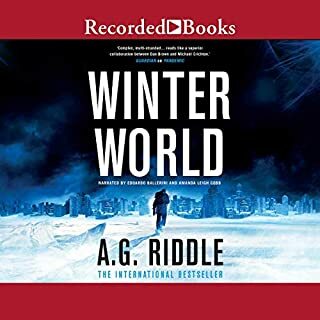 The only thing I found less than enjoyable about this audio book was the sound of the narrator's voice. However, her ability to adopt a different voice for each character outweighed the annoyance. I hope there is a sequel! Very much enjoyed this book and would recommend to almost anyone. I feel that it has elements for every type of reader. Very suspenseful, so it keeps pulling you back in, while having themes that provoke thoughts and conversation. It is Sci-Fi, but not at all fantastic, which makes it very easy to relate to. It may be the fastest book I've finished so far. I really wanted to like this book. The main character is from Minnesota, which is always fun. However, once I started noticing the clear holes in certain areas (I don't want to give away the book), it became increasingly harder to ignore. There were even inaccuracies about small plot details - sage plant anyone? Additionally, though I understand this is a personal issue based on my experience, I was hugely irritated by the neuroscience-esque portions of the book. If I didn't have much knowledge on the subject I'm sure it would be fine, but it seems like the author thought repeating some Alzheimer's disease/memory buzz words (e.g. tangles, hippocampus) was a sufficient foundation for the story. At least consult with someone about how to make the research portions more palatable. I didn't take points off for that though, because I'm perfectly content to go along with impossible explanations of faster-than-light travel given my total ignorance of physics. Anyway, I finished the book, but was too distracted by these issues to enjoy it. I listened nonstop until the story was over. I hope Joe Hart has a sequel in mind. I especially liked the way Hart worked earth’s toxic future into the fabric of the story. I tried to like this book, but in the end, I just couldn’t finish it. The pace was slow and the narration, although competent, was a bit monotone with questionable accents. I doubt I’ll be reading any more books by the author. A BRILLIANT story almost ruined by appalling narration. Pausing in the wrong places,causing srntences to make no sense, upwards inflections all over the place.Found myself talking back to her in frustration. Only the story stopped me from ripping the headphones out and giving up. This story was unlike any I have read before but I enjoyed it. I loved Joe Harts The Final Trade series (highly recommend) so I thought I'd try something else of his. The story is unique and one thing didnt make sense to me (maybe I missed that part when I was listening) but overall it was good. I wasnt a fan of the accents though. I wasn't sure what to expect coming into this one, it promised terror in space on the blurb and it delivered it just not in the mode I expected. Set in the dire times of near future, it keeps most of it's cards close to it's chest early on. The protagonist is a woman haunted by her past and seperated from her dying child, she is in a constant state of stress as she is whisked off her feet into a situation that is continually growing in complexity and paranoia. This growing mental stress gives the story momentum and unpredictability, but I feel like she makes a few questionable decisions during the first half that come back to haunt her. At the beginning of the second half, the relationships and dynamics between the characters are turned on their head and after the dust settles, some clear goals are in sight. A mystery that started to grow towards the end of the first half now becomes a focus point to be uncovered with some of the results quite unnerving, some moments of sheer terror shaking things up when things almost become routine. Towards the end, this mystery becomes a runaway frieght train driving the pacing towards a horrific climatic close. 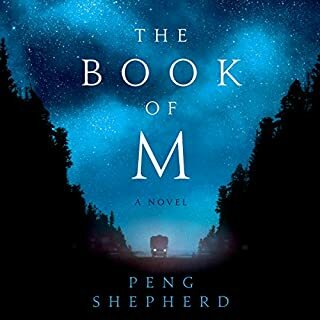 Because of the focus on more how characters are reacting to each other over specific and unnatural phenomena, to me it feels more like a thriller than a horror novel with a shift towards more contemporary horror in the last quarter. 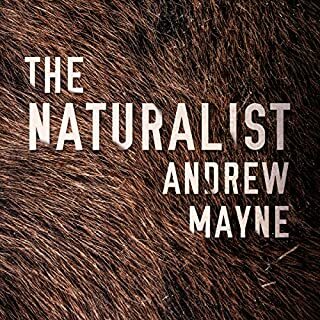 Characters were excellent, many having ambiguous motives that shift over the course of the novel and a suprisingly endearing platonic relationship between a man and a woman that really moved me. During the climax of the story, people reveal their true colours in suprising ways and I enjoyed these developments. Since I'm not so familiar with the thriller genre as much as horror, I'm not sure where to place it but I did enjoy it for most part. It's an easy 3.5 to 4 on the story and a 3.5 on the narration, I enjoyed Christina's female charaters and some of her male ones but I got a bit mixed up with characters using more gravelly masculine tones that sounded a bit too similar. I would recommend this book to fans of thrillers who also enjoy their sci-fi grounded in reality. Fans of horror will love the suspense, pacing and atmosphere but may not find extraordinary elements that really push the story into uncharted waters, so I would tentatively endorse it to them.